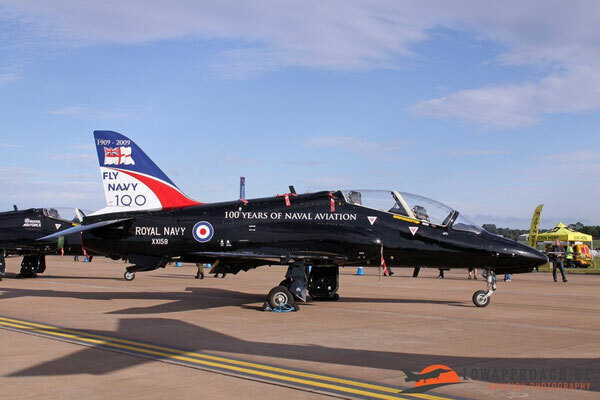 Already many articles have been written about the Royal International Air Tattoo, that is held annually at RAF Fairford in the United Kingdom. RIAT is known for its participants for across the globe, in other words aircraft that are rarely seen on other airshows. 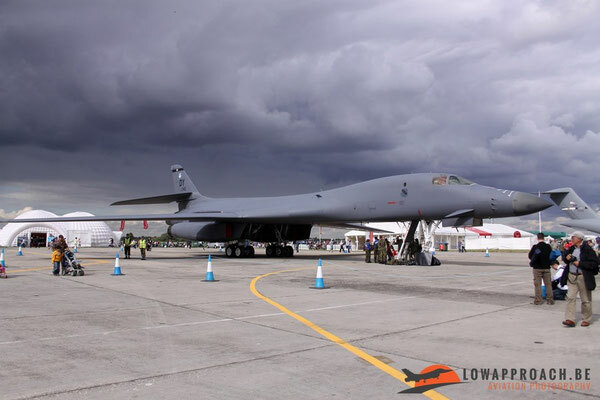 For this article I decided to go back 6 years in time to the 2009 edition. 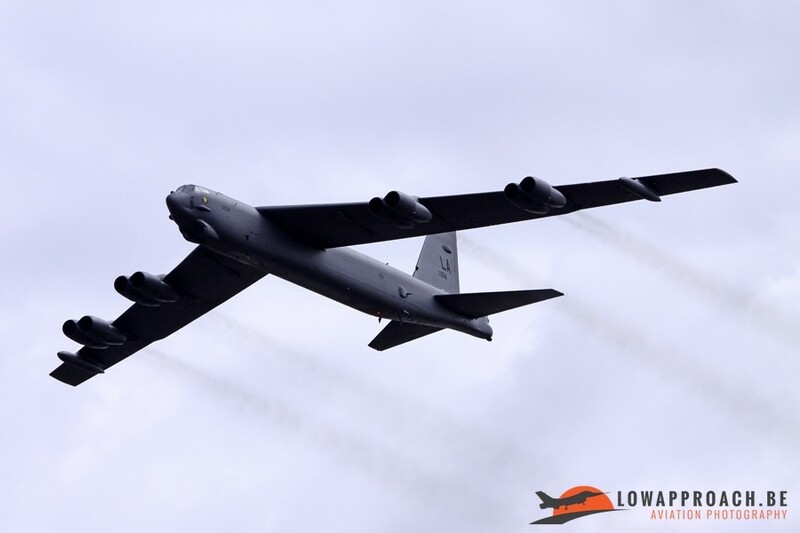 This year had a number of exotic visitors, but also had a number of participants that since then have disappeared from the skies. Let us start with the exotics ! 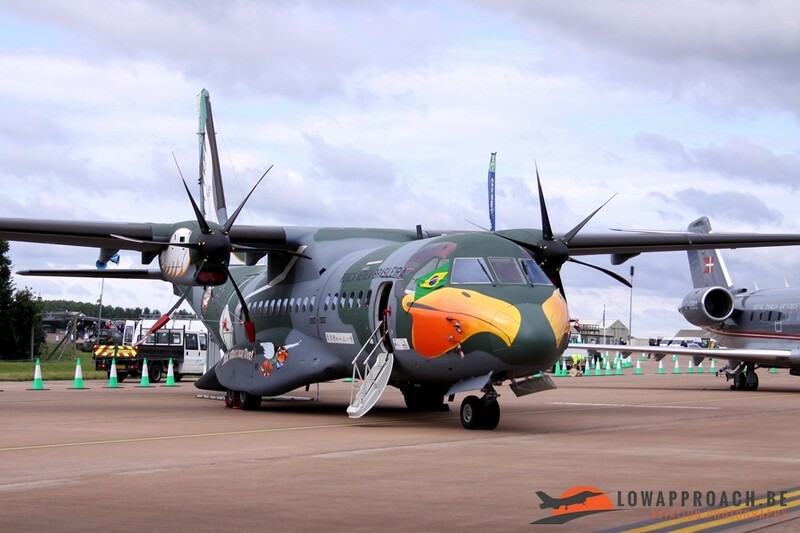 The Brazilian Air Force attended RIAT with a CASA C295M Amazonas, which is normally based at Campo Grando. 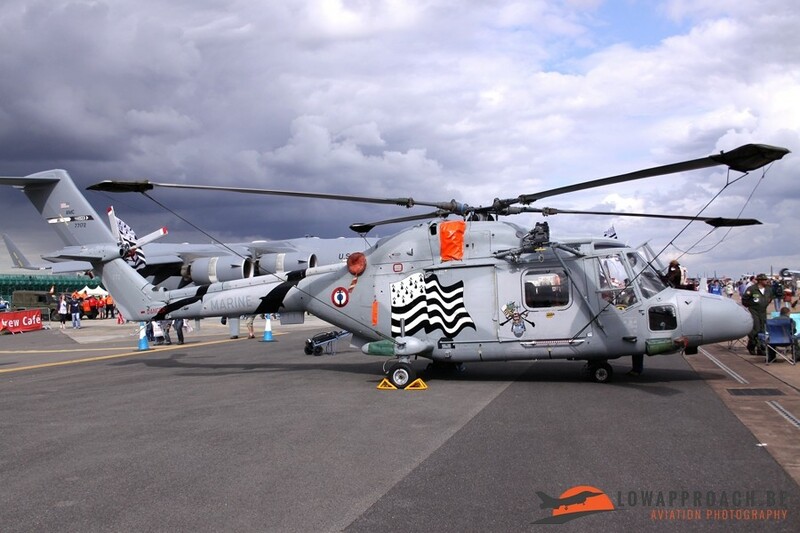 The aircraft wore a special color scheme in the shape of a pelican, which can also be found in the squadron patch of 2°/10°GAv. 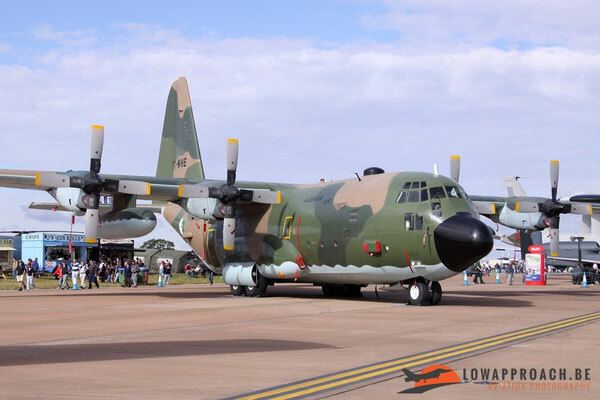 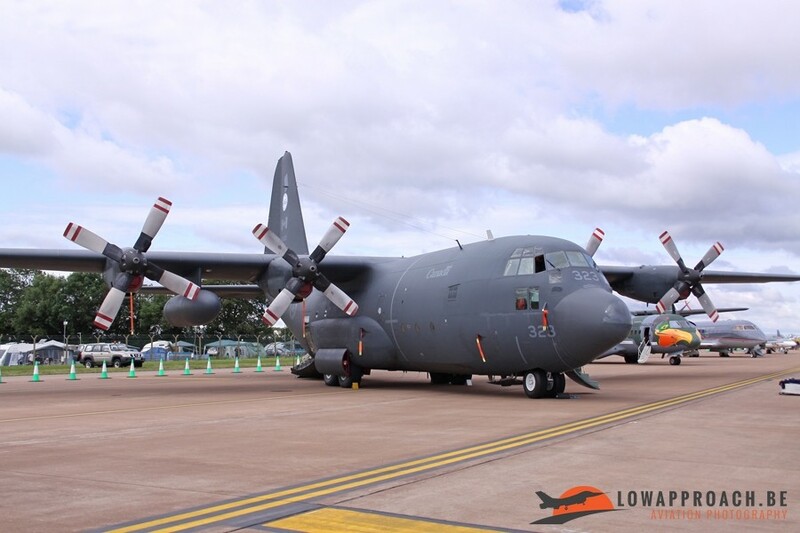 RIAT is also known for its large number of C130s and also in 2009 two rarely seen examples were present, the first one from the Algerian Air Force and the second one from Canada. 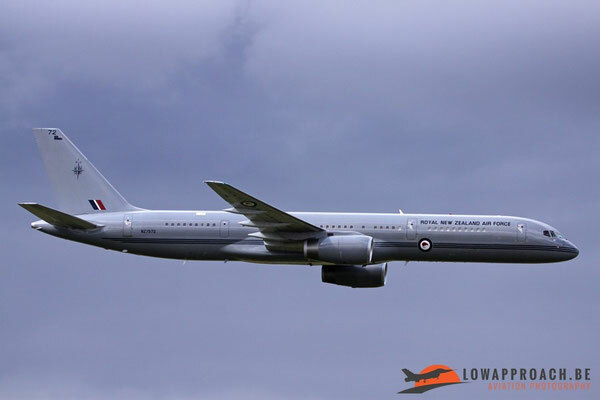 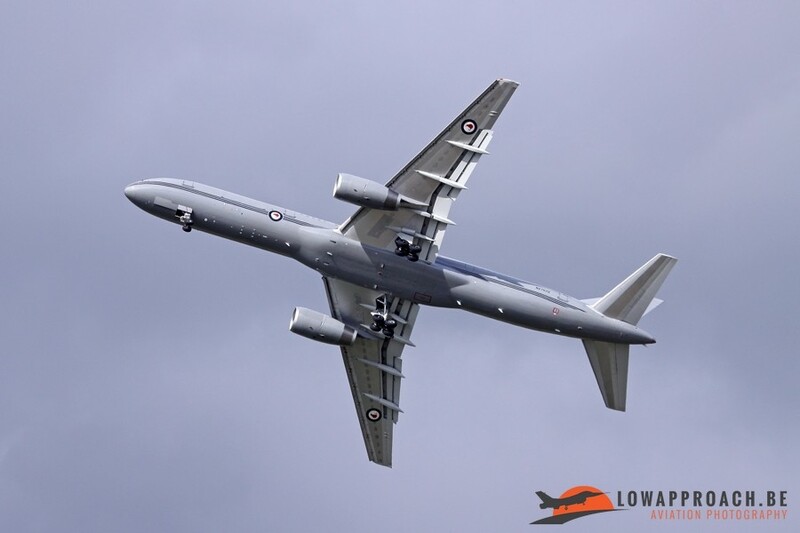 The aircraft that made longest voyage was a Boeing 757-2K2 from the Royal New Zealand Air Force, that participated in the flying display. 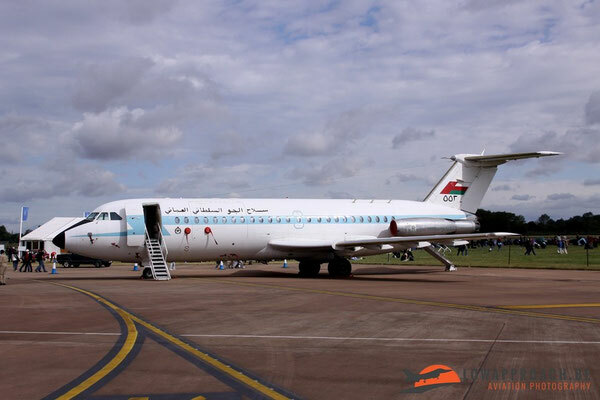 Oman is a regular participant, but this time they attended with a British Aircraft Corporation BAC111, which already then was considered an 'oldtimer'. 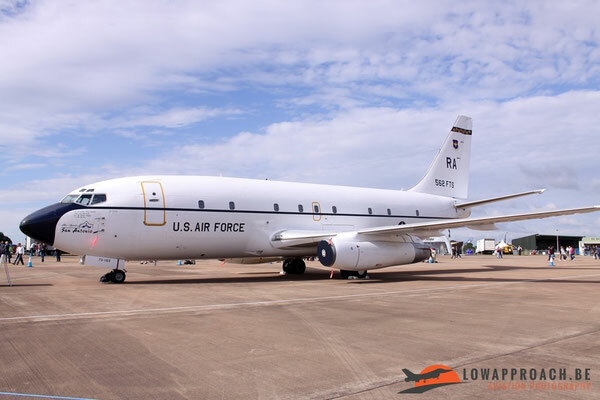 This aircraft was taken out of service a couple of years later and is now in use as an instructional airframe. 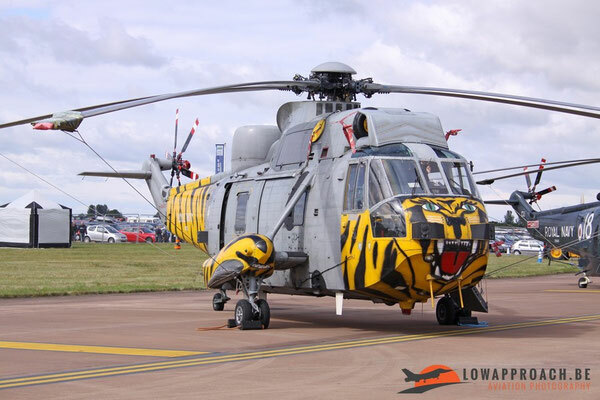 Some of the exotics can also be found closer to home. 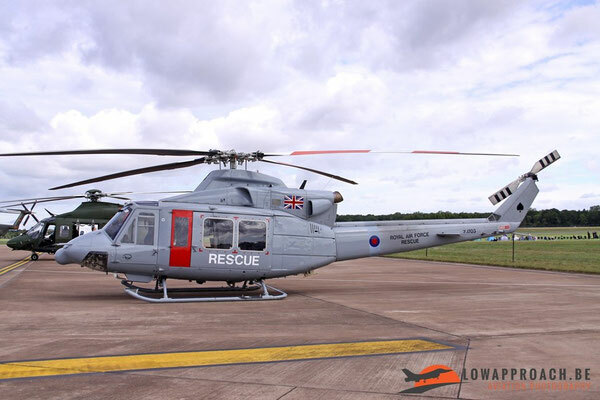 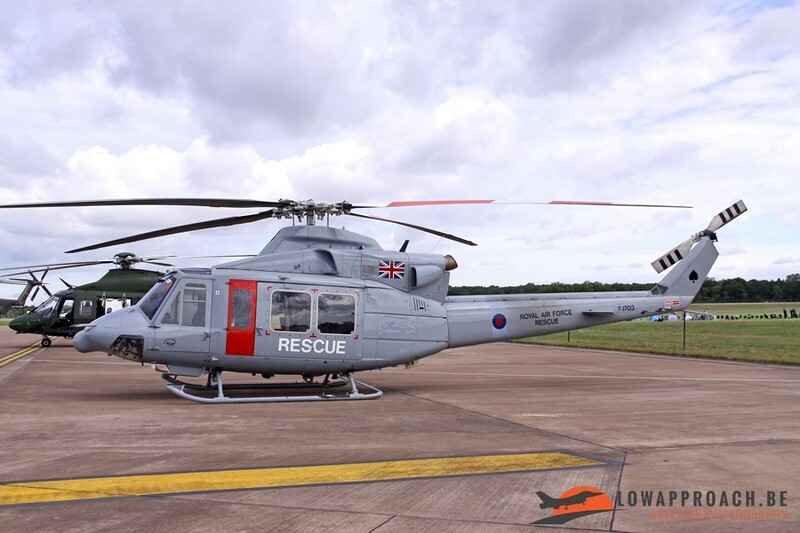 The Royal Air Force send a Bell Griffin HAR2, not so rare some would say, but this aircraft is normally based RAF Akrotiri on Cyprus, so not a regular participant to European airshows. 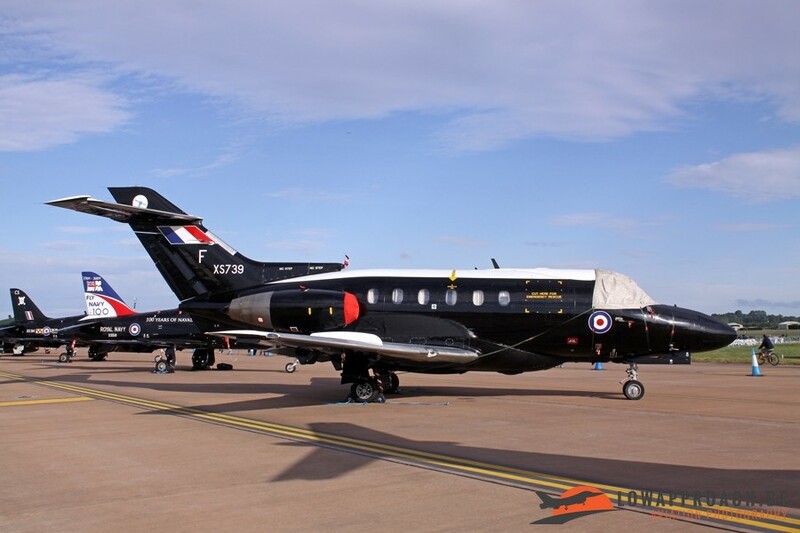 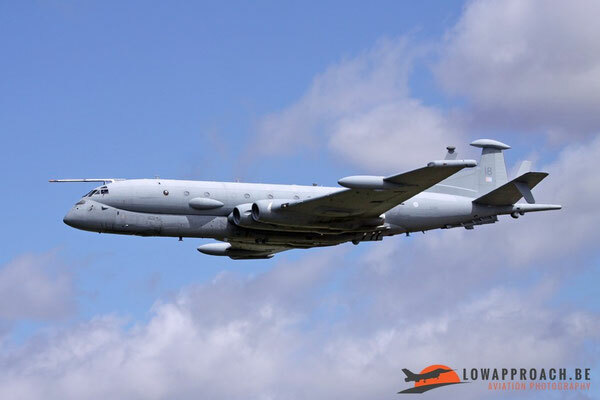 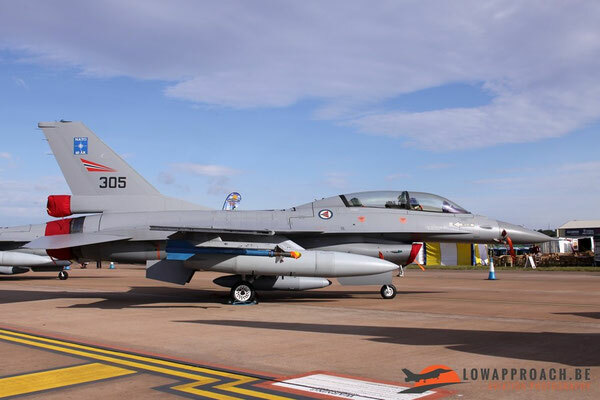 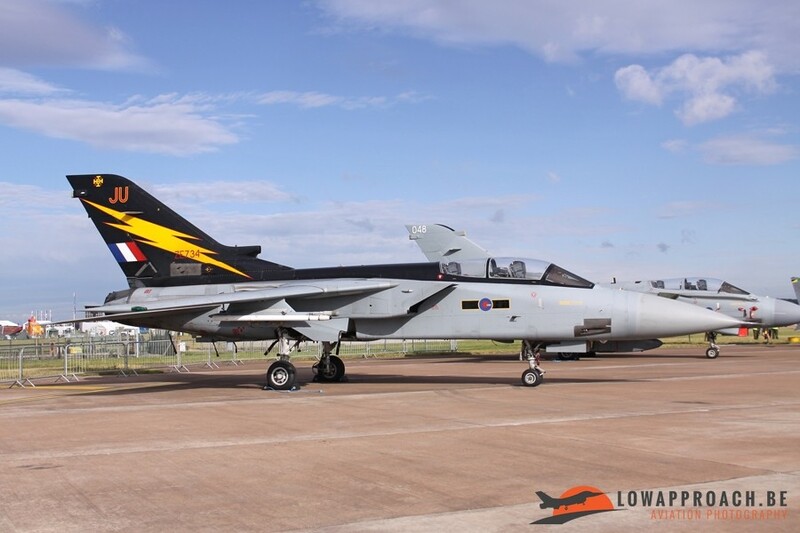 RIAT is also the ideal place for foreign air forces to show off those aircraft who have acquired a special color scheme for one or the other special occasion. 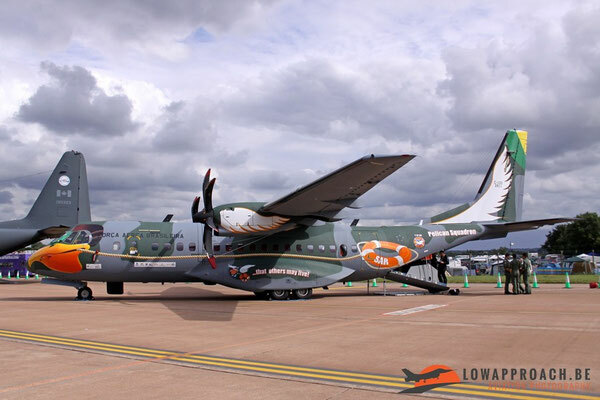 2009 was no exception to this, as we already saw with the Brazilian CASA C295. 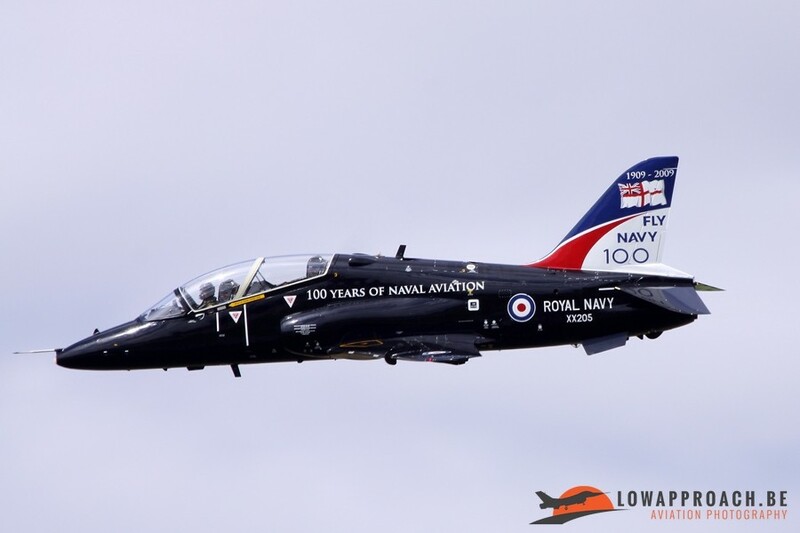 The most modest special marking came from Norway. 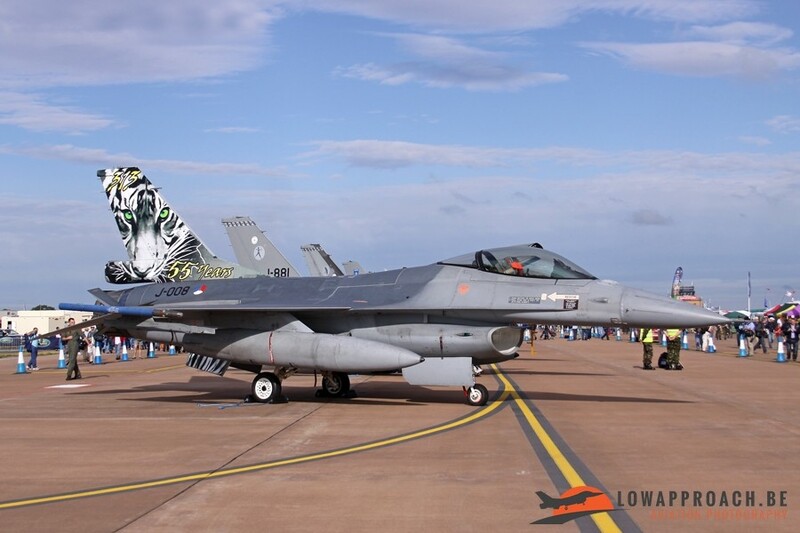 Their Lockheed-Martin F16BM Fighting Falcon wore a small marking to celebrate the 60th birthday of NATO. The Dutch Air Force showed up with a more flamboyant design, the 313 Squadron aircraft was wearing its NATO Tiger Meet colors. 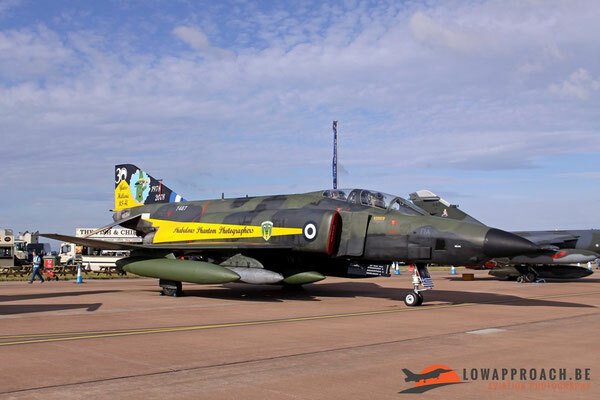 Also the Greek Air Force found a special occasion to paint up one of their McDonnell Douglas RF4E Phantom IIs with some special markings, the type celebrated its 30th year in service in 2008. The French Navy was already preparing for the large celebrations in 2010 with this specially painted Westland Lynx HAS.2(FN). Finally also the British Royal Navy had a celebration, in 2009 they celebrated their 100th Anniversary so a series of FRADU British Aerospace Hawk T1 got special tailmarkings. 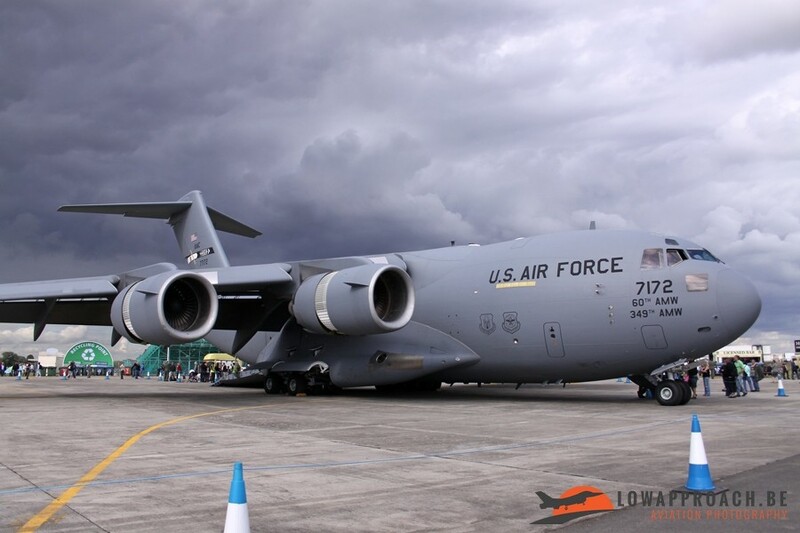 Traditionally the United States Air Force has been a large contributor of aircraft to RIAT, although the last few years the number of aircraft has decreased due to some cutbacks. Most impressive aircraft for many are the strategic bombers. 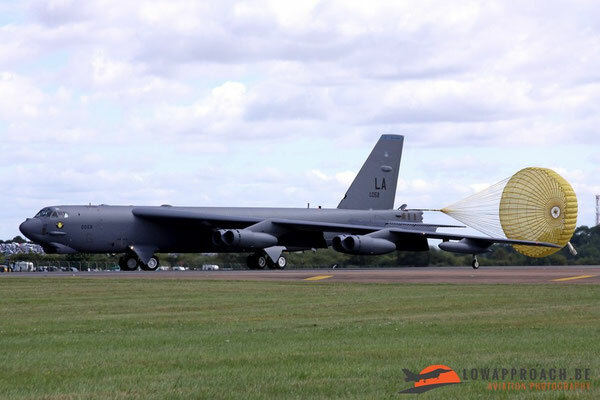 Examples of both the Boeing B52H Stratofortress and the Rockwell B1B Lancer were present on the static, and a second B52 participated in the flying display. 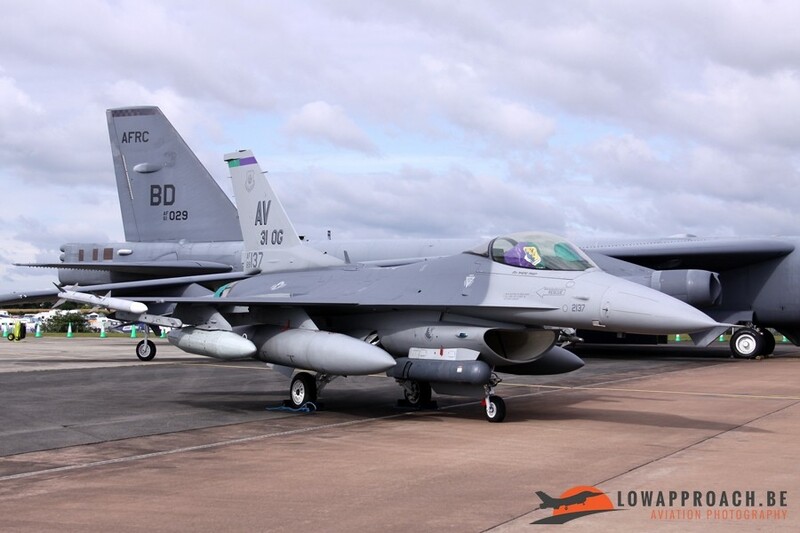 In addition to the bombers the USAF participated with a Boeing C17A Globemaster III, a Boeing T43A navigational trainer and a Lockheed-Martin F16CG Fighting Falcon from Aviano Air Base in Italy. The T43A has since been taken out of service. 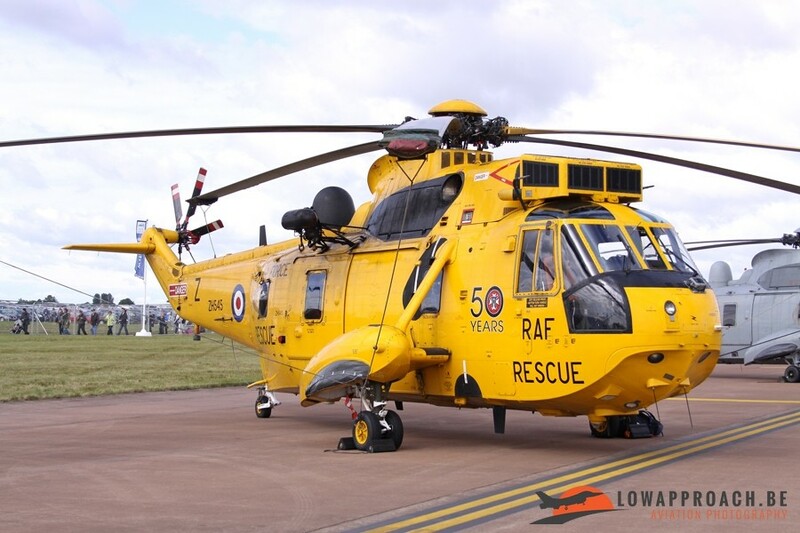 When I was preparing I was surprised to see how many of the aircraft I saw at RIAT2009 have since disappeared from the skies. 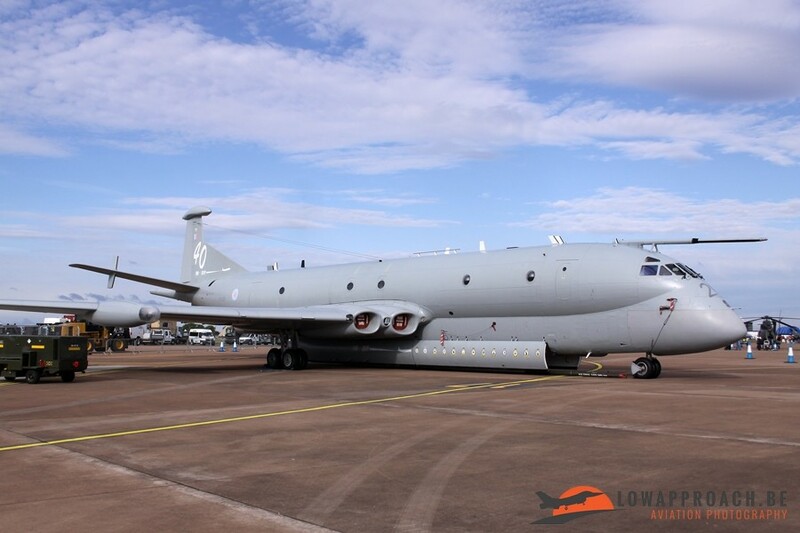 On the fixed-wing side the Hawker Siddeley Nimrod MR.2 was making one of its last public appearances, as the type was due to be replaced by the BAE System Nimrod MRA.4 which took part in the flying display. The MRA.4 was in fact a completely rebuild MR.2, but a few months later the British Government cancelled the project and within weeks the already modified airframes were scrapped. 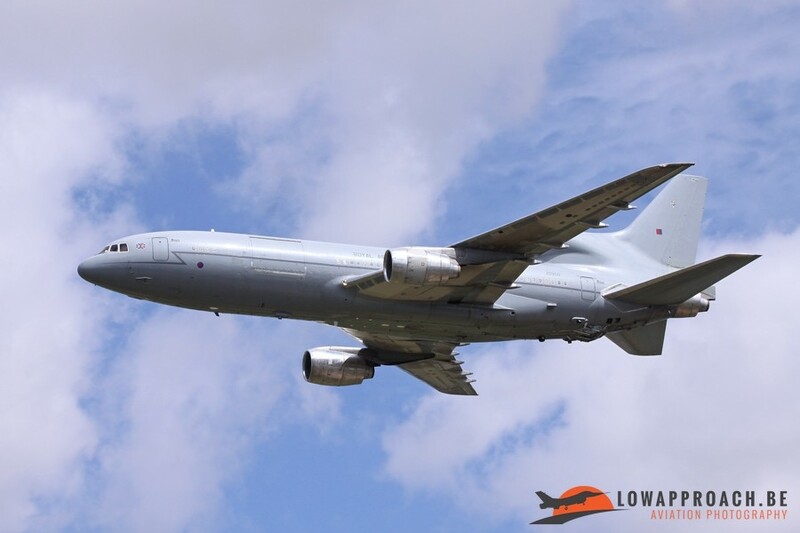 Also the Royal Air Force tanker fleet has undergone a complete revamp as both the Vickers VC10 and Lockheed TriStar KC.1 were taken out service and replaced by more modern aircraft. 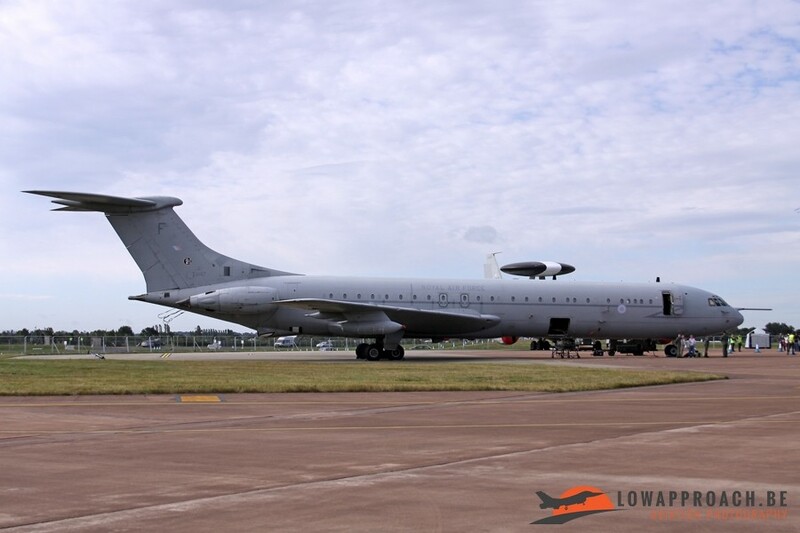 Another regular visitor at Fairford was the Hawker Siddeley Dominie T.1. This aircraft developed from the HS125 business jet, was used for the training of navigators, but with progress of technology the demand for navigators decreased so the training aircraft were taken out of service. In 2009 the number of delivered Eurofighter Typhoons was increasing steadily, so its predecessor, the Panavia Tornado F.3 air-defense variant was also facing the axe. 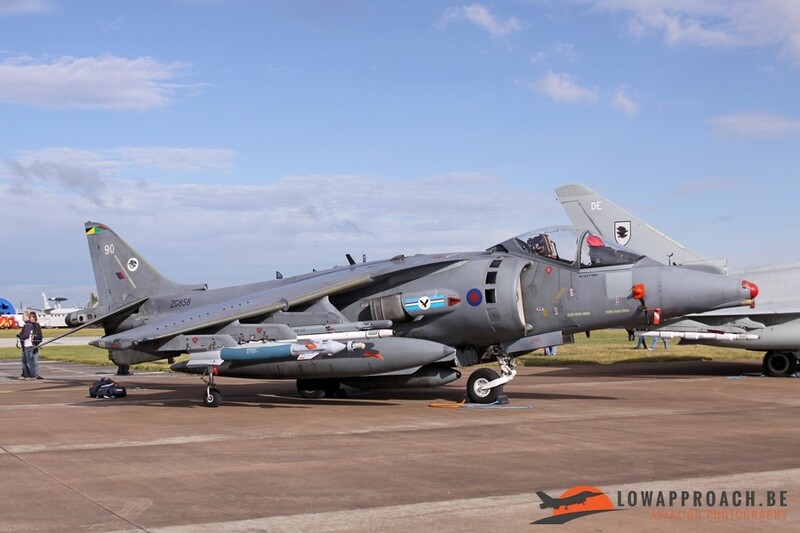 Last but not least, the British Aerospace Harrier. 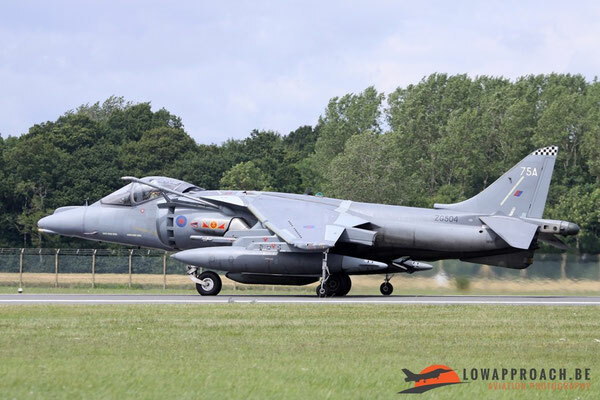 This aircraft had been an icon of British aviation since the late sixties, but in 2010 after yet another round of budget cuts, the complete fleet was taken out of the skies and sold for spares to the United States.... a sad end for such a wonderful aircraft. Not only the Royal Air Force fixed wing fleet underwent changes, also in the area of helicopters an icon has disappeared since 2009. 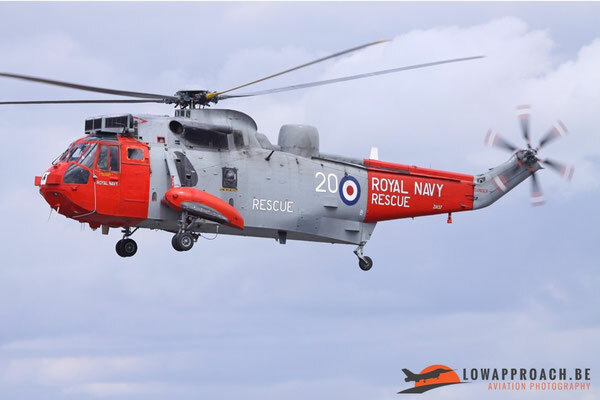 The Westland Sea King was replaced by more modern types, but at RIAT 2009 several variants from both the Royal Air Force and Royal Navy were still present in many different color schemes. 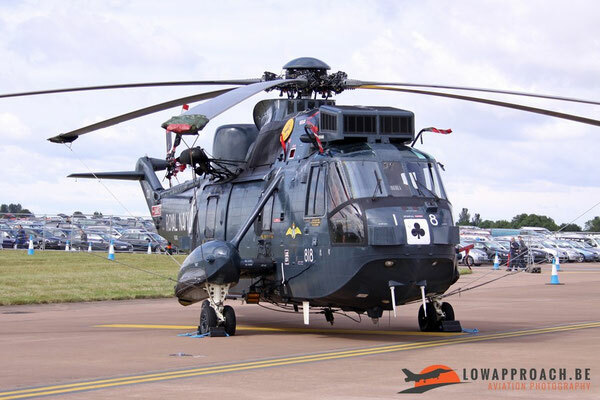 The Royal International Air Tattoo is each year one of the highlights for many aircraft spotters and photographers. 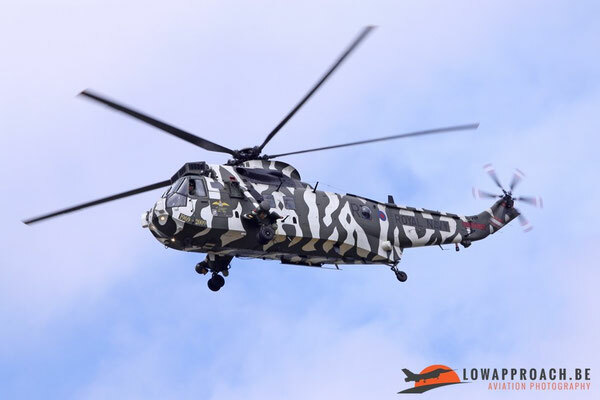 The 2009-edition can be considered a good year, although the weather conditions were not ideal at some moments, as can be seen in some pictures, but that is something that most of us have learned to live with.